inside a clear, stetchy plastic bubble! If you are in need of changing your country's funds into Canadian Dollars click on the following converter link: The Universal Currency Converter. 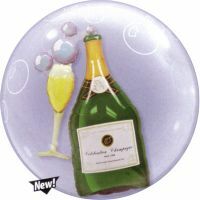 balloon with 3 treated Latex balloons. 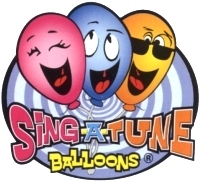 and the Singing Balloon (shipping option) design. These are available and suitable for shipping in British Columbia, Alberta, Saskatchewan, Manitoba, and Ontario. Sky's The Limit Gift Baskets & Balloons Inc.
Saskatoon's Custom Gourmet Gift Basket & Unique Balloon Bouquet Service with a Difference! At Sky's The Limit we believe the gift you send illustrates something about you and your creative style, it reflects how you feel and the message you want to convey. If you are looking for a gift that is impressive, distinguished, uncommon and sets you apart from the crowd, our on-line gift selections offer the impact you insist on! Providing gift basket delivery to all Saskatchewan Cities and Towns some of which include (1-2 days notice required for delivery): Saskatoon, Warman, Martensville, Dalmeny, Aberdeen, Delisle, Vanscoy, Clavet, Davidson, Regina, Melfort, Melville, Wakaw, Watson, Imperial, Watrous, Asquith, Biggar, Tisdale, Nipawin, Moose Jaw, Yorkton, Estevan, North Battleford, Battleford, La Ronge, Humboldt, Weyburn, Prince Albert, Kindersley, Lloydminster, Outlook, Swift Current, Maple Creek. Nationwide gift basket delivery available to all Canadian Provinces and Cities some of which include (1-5 days notice required for delivery): British Columbia, Alberta, Saskatchewan, Manitoba, Ontario, Quebec, New Brunswick, Newfoundland, Nova Scotia, Prince Edward Island, Northwest Territories. Saskatoon, Regina, Prince Albert, Swift Current, Vancouver, Abbotsford, Surrey, Prince George, Kelowna, Vernon, Prince Rupert, Kamloops, Delta, Burnaby, Victoria, Calgary, Edmonton, St. Albert, Fort McMurray, Medicine Hat, Lloydminster, Lethbridge, Red Deer, Grand Prairie, Hudson Bay, Winnipeg, Brandon, Flin Flon, Thunder Bay, Toronto, Mississauga, Sudbury, North Bay, Hamilton, Dundas, Sault Sainte Marie, Kitchener, London, Windsor, Kingston, Ottawa, Laval, Quebec City, Fredericton, Saint John, Halifax, Charlottetown, Sydney, St. John's, Canada. International gift basket delivery available to the United States (1-2 weeks notice required for delivery). You won't find a more unique basket service than ours. Don't have any idea what to send to your spouse or friend? We can help! 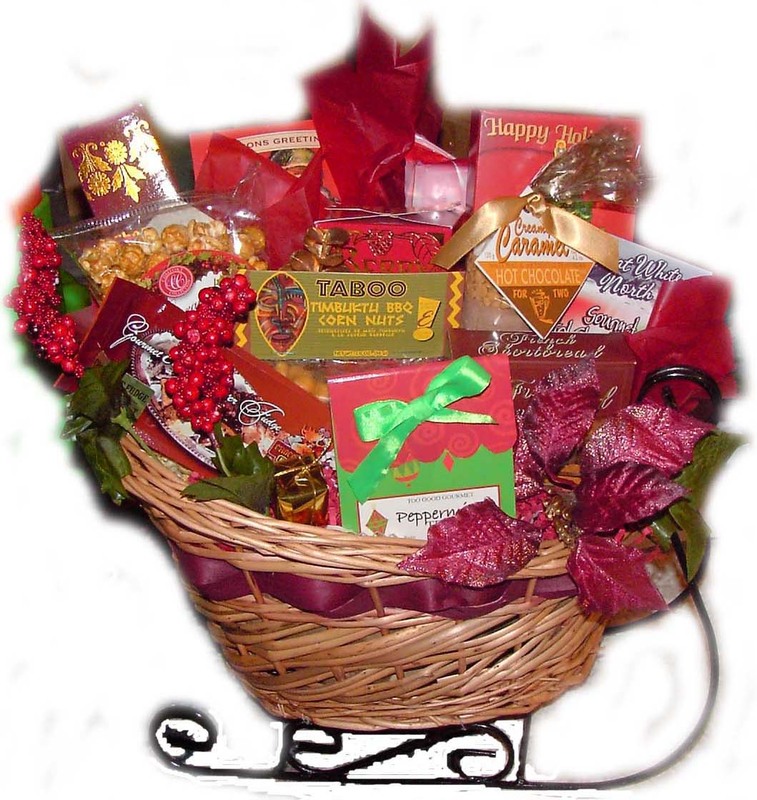 The on-line gift basket design themes shown are typical. Due to supply, demand and seasonal availability, however, advertised basket design and contents may vary with each purchase, and will be supplemented with products of equal or greater value at the sole discretion of Sky's The Limit. 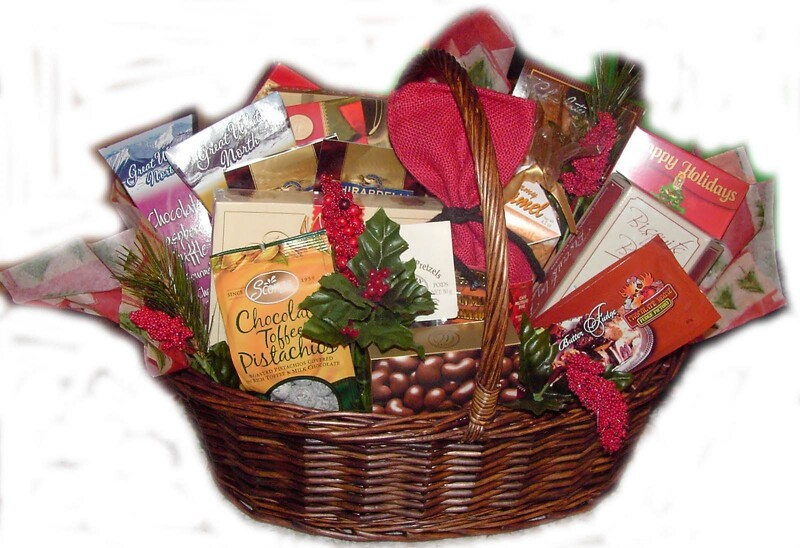 Specific types of goodies containing chocolate with low melting tolerances during shipping will only be included in our baskets during the months of September - May. If you have any comments or suggestions, please send us an e-mail. All contents ©2007 Sky's The Limit Gift Baskets & Balloons Inc. All rights reserved.